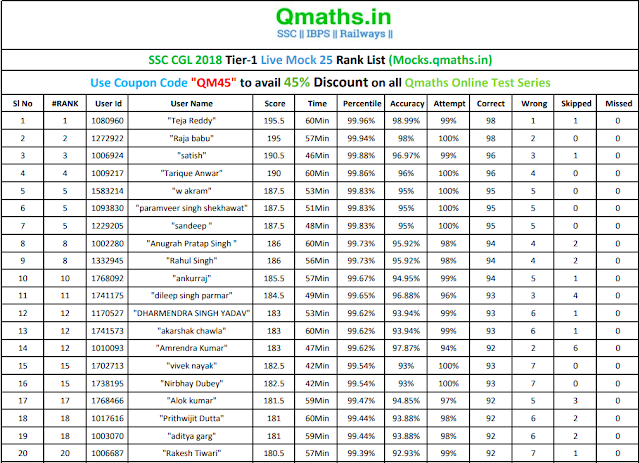 Last weekend Team QMaths Successfully Conducted free live mock test for SSC CGL 2018 Tier-1, SBI PO 2018 & RRB Group-D 2018 from 30-06-18 to 02-07-18 (11.59 pm). Team QMaths thanks you all for participating in our LIVE MOCK TESTS. In this post, we are sharing the list of toppers and Rank list. Detailed Solutions are available in the reports section. 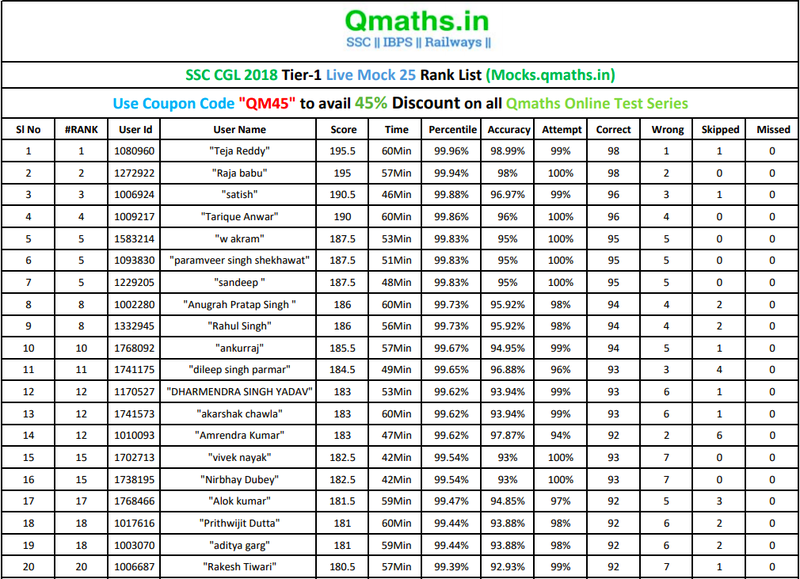 Use Coupon Code "QM45" to avail flat 45% Discount on Qmaths Paid Mocks. Below is the Rank List of Current LIVE MOCK. Detailed Solutions have been released on the website. Besides weekly FREE LIVE Mocks, Qmaths also offers Premium Paid Mocks.